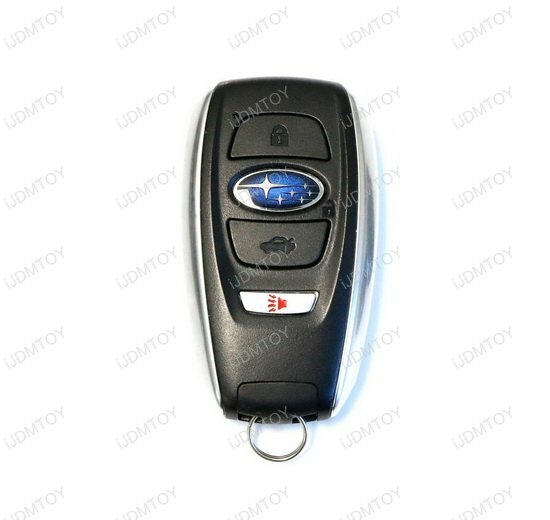 Please make sure your Subaru comes with the Keyless access with push button start system in order to use this key fob cover. Q: Is this leather key fob cover made with real leather? A: Yes, the exterior of this key holder is genuine leather. Q: Can I still use my remote with the key inside the fob? A: Yes, the buttons on your key can still be pressed and used inside the key fob cover. Q: Will this key fob cover fit my key? A: Please check the compatibility list and the picture of the factory key in the product detail description page prior to purchasing. Your factory key must look like the one we show in the picture to ensure the correct fitment. 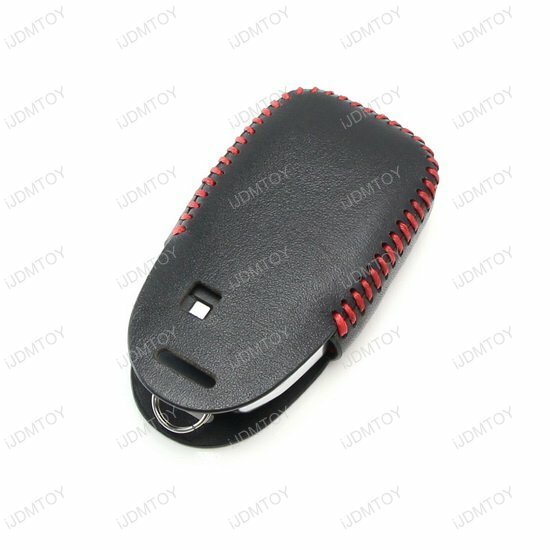 Introducing iJDMTOY's all new 3D-surround leather key holder made with precise laser imprinted buttons to fit your car key perfectly. 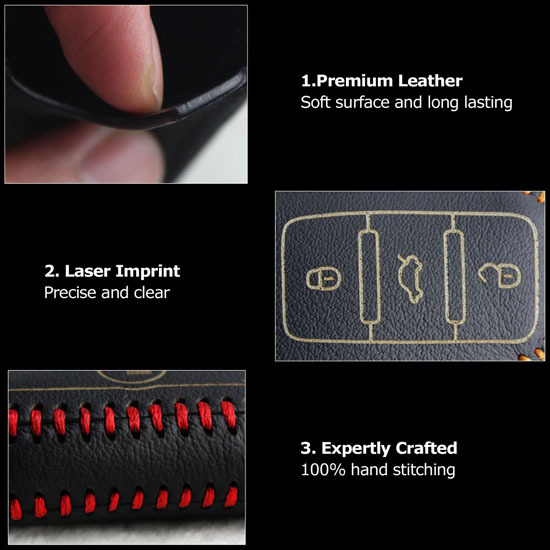 Compared to the conventional leather key holder that's made with just one piece of leather to wrap over the key, our 3D key holder is made with 3 individual pieces of leather stitched together to form the exact shape of the actual key fob. 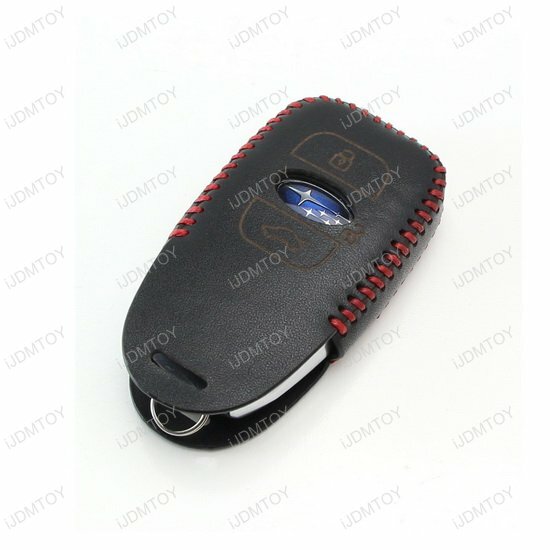 Since now the key has a perfect fitting inside the key holder, with the laser imprinted buttons on the surface of this leather key holder, you can easily use the key without taking it out from the key holder at all. I have a 2016 Subaru Outback Limited and keep the key in my pants pocket. Several times I went outside and found the tail gate open and many more times found the car unlock. 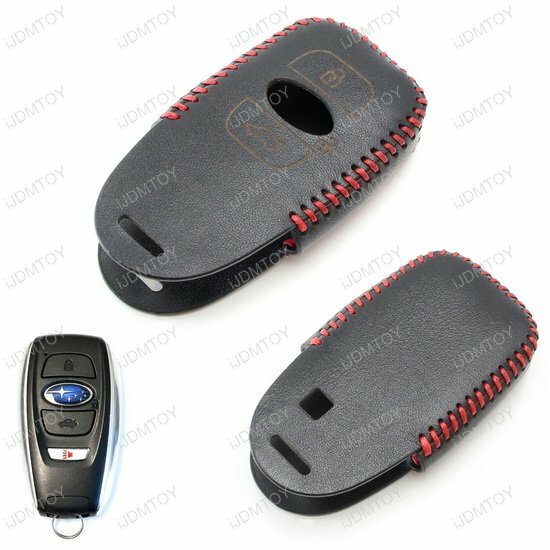 Since using this leather key fob cover on my Subaru smart key I have not found the tail gate open or door unlock. Snug fit and button functions are still easy to use. I would recommend this cover it you have had similar issues. 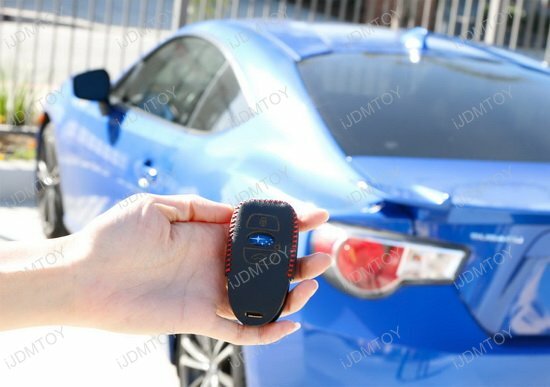 I really didn't want to cover the key fob for my new Subaru WRX. But within a week I had scratched the metal trim. I purchased this leather 3D key fob holder not knowing if I would like it. But I do. It protects my Subaru WRX key fob and looks nice doing so. 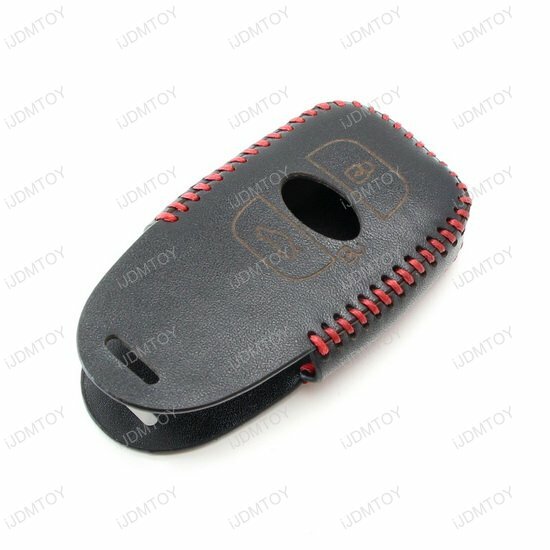 The premium leather keyfob holder works well, I bought another leather brand as well. 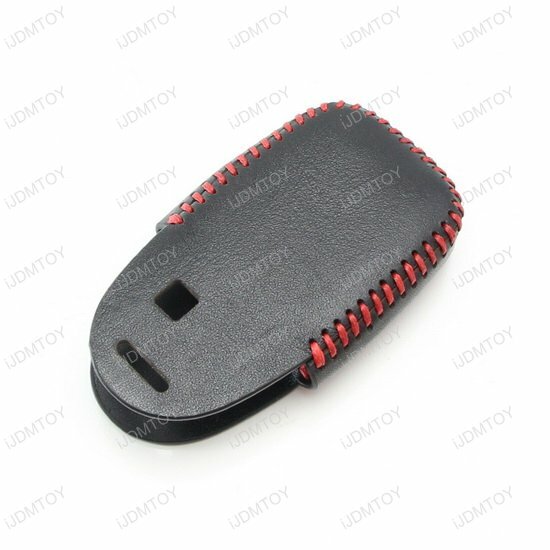 This key fob cover is clearly the easier one to use and protects the key fob well. The panic button is not shown but can easily be pressed if needed. All in all, good protection for your key fob at a reasonable price. The black key fob holder cover fits great. Premium leather feels like high quality. Use a small O ring to keep attached, would be nice if they attached something like this. This premium leader key fob holder cover rocks! I get compliments all the time and its matches everything else in my Subaru as well. Love this key chain holder cover.